Chuck Duran is the Owner and Head Producer/Director at World Digital Studios and Demos that Rock in Los Angeles, California. He has produced and directed thousands of commercials for companies such as Nike, Chevrolet and Budweiser, just to name a few. Chuck has also written and performed songs for award winning television movies and feature films for Warner Brothers, 20th Century Fox, Paramount Pictures and Disney. You can see him perform all over the world as lead guitarist and co-founder of mash-up band sensation, Rock Sugar, and if you don’t have plane fare, can you go on YouTube and be one of the millions who watch and listen to Rock Sugar everyday. Check it out HERE! Chuck was also the singer on the hit Disney XD sitcom, “I’m In The Band” Listen to some of the songs HERE! Chuck Duran is truly gifted and recognized as LA’s most sought-after voiceover producer and director. 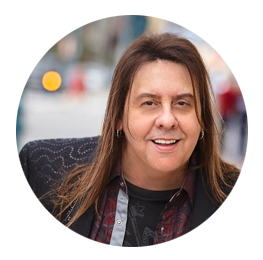 Why do so many of his clients credit him with helping them land top agents and build successful voiceover careers? Because It’s True!